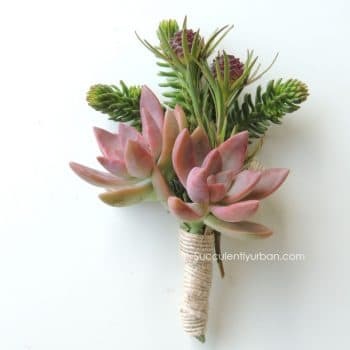 Our succulent boutonnieres offer understated elegance. 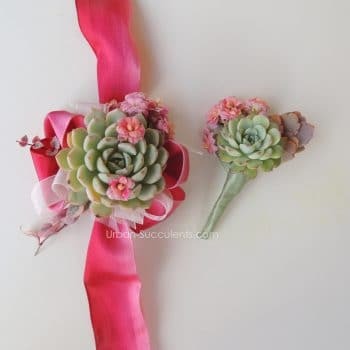 We start with a succulent rosette and then add texture and color using a variety of materials and flowers. 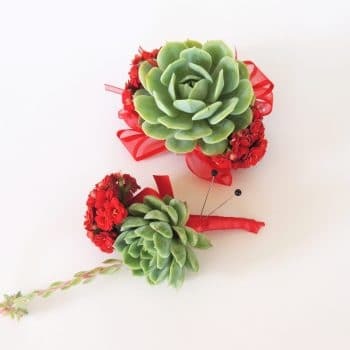 For custom orders, please contact us and we will create something special for you. 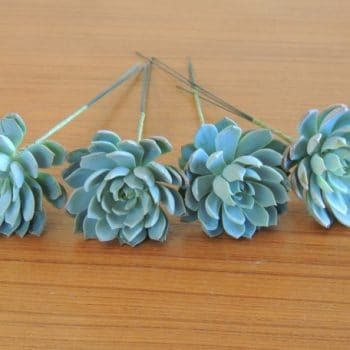 These boutonnieres are crafted with a single succulent rosette and calandiva blooms. 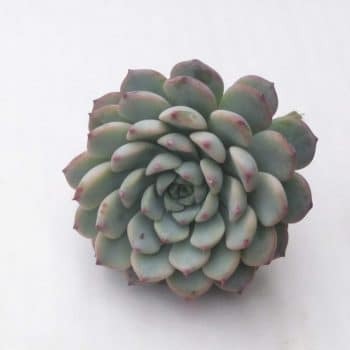 When ordering please indicate in the Special Instructions at checkout the accent color of your choice. 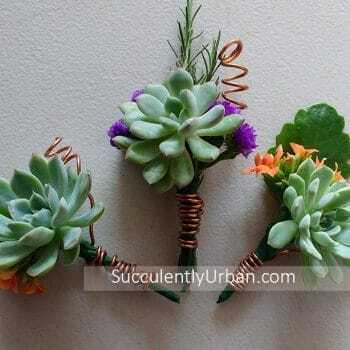 Succulent Boutonniere and Corsage setChoose your style and color theme. 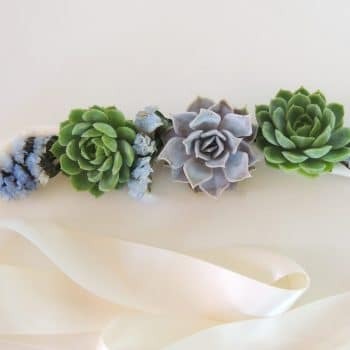 Color can be added with ribbon or flowers fillers.When ordering on line please leave a note at checkout with picture number of your preference. 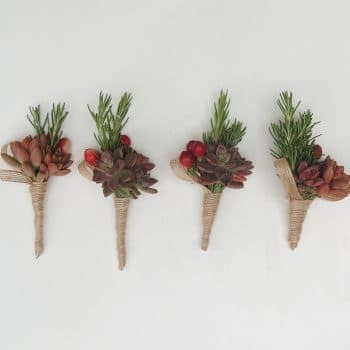 Crafted with wide jute ribbon please leave a note at checkout with color of your choice. 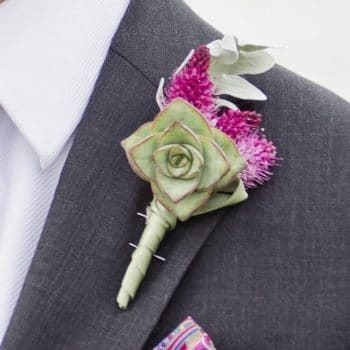 This succulent boutonniere is made with a beautiful succulent rosette and two craspedias (billy balls). 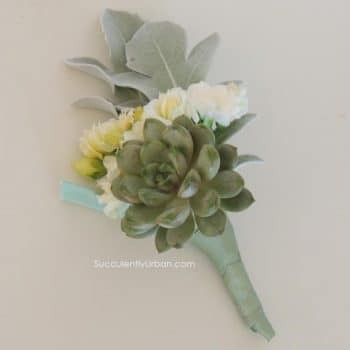 This listing is for 2 boutonnieres of your choice.When ordering please indicate in the note section what color accent flower or ribbon you would like to get.Ribbon may be satin in the following colors:beige, green, black, white, navy blue, gray, teal blue, red,Jute in natural fibber color -beige. 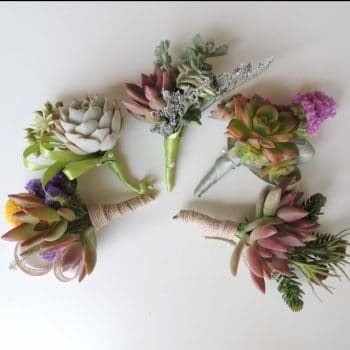 This listing is for 5 boutonnieres of your choice.When ordering please indicate in the note section what photo you like and ribbon you would like to get.Ribbon may be satin in the following colors:beige, green, jute in natural fibber color -beige. 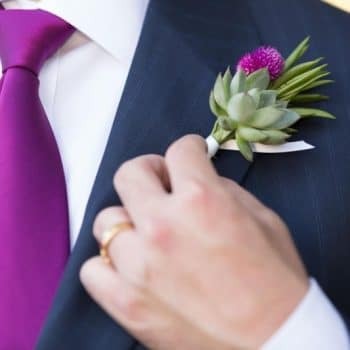 3 boutonnieres with blue thistle and wrapped with jute ribbon2 pin corsages with pink or purple accents wrapped in satin ribbon1 wrist corsage with pink or purple- satin ribbon. 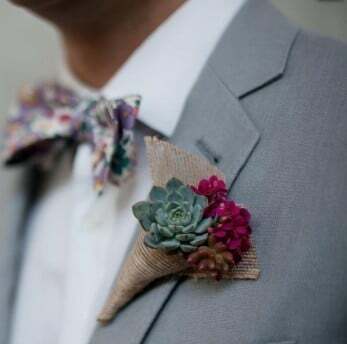 Succulent Boutonniere and Corsage setChoose your style and color theme. 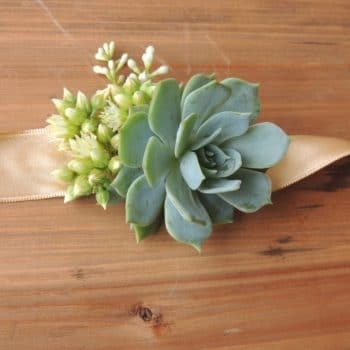 Color can be added with ribbon and/or flowers fillers. 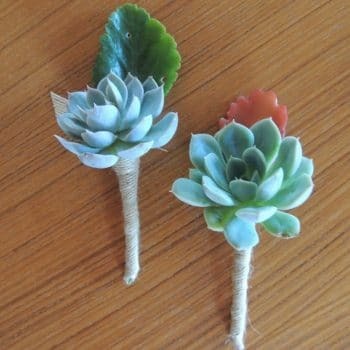 Succulent CorsageChoose your style and color theme. 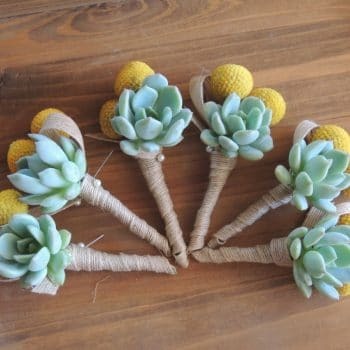 Color can be added with ribbon or flowers fillers.When ordering on line please leave a note at checkout with picture number of your preference. 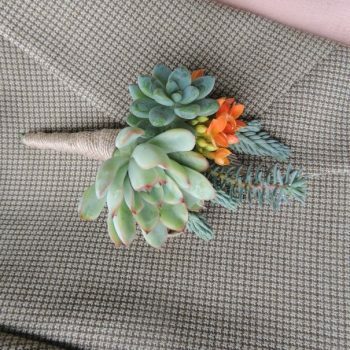 This boutonniere features a crassula succulent with its square shape and can be accented in a variety of different ways. 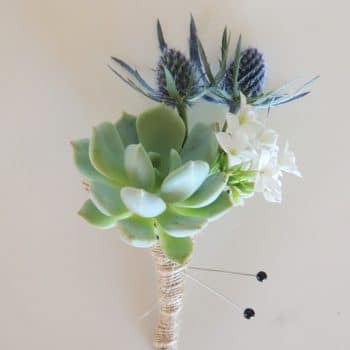 This listing is for 4 boutonnieres of your choice.When ordering please indicate in the note section what photo you like and ribbon you would like to get.Ribbon may be satin in the following colors:beige, green, black, white, navy blue, gray, teal blue, red,Jute in natural fibber color -beige. 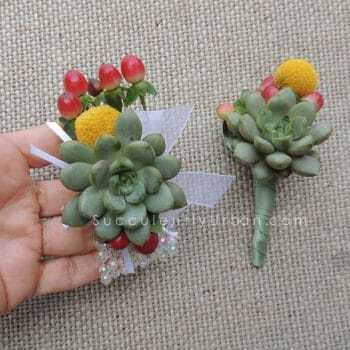 Succulent boutonniere and corsage with echeveria rosettes billy balls and hypericum berries. 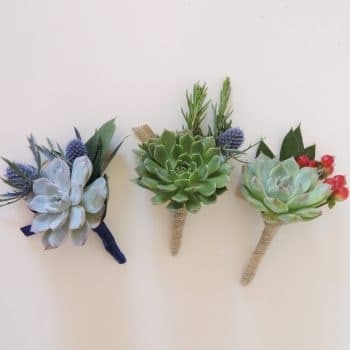 Succulent SashChoose your style and color theme. 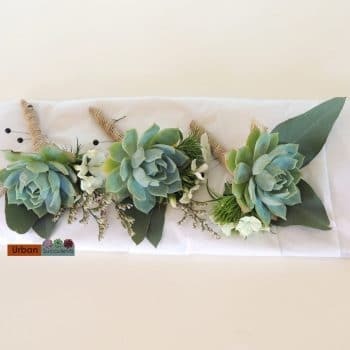 Color can be added with ribbon or flowers fillers.When ordering on line please leave a note at checkout with picture number of your preference.